4 files- one for each totem quest Earth totem is in Valley of Trials (orc / troll) All should be AFK with exception of the water totem ( zeplins) so the profile will help, however you will have to monitor what its doing. If you see an issue patch it and let me know- I will update the download with the patch version for others. 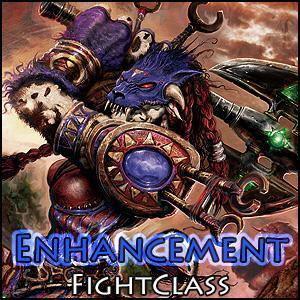 Trimmed down and subtle fight classed i use on my Shamans. Built towards working with my vanilla levelling profiles Healing wave at 50% health Shocks when > 25% mana. Will keep Rockbiter weapon up when below lvl 30 and WindFury weapon up when above 30. I found shamans with passable gear where able to grind without downtime from about lvl 15 if you defined healing wave as a food / regen item . Totems are used sparingly as its looks suspect if the bot is dropping them every fight. Stoneskin + Mana spring totems will be dropped if you are fighting 2+ mobs. Searing totem is on a timer so it doesnt drop every mob. Massive shout-out to @Imod who wrote the timers in the C# profile, Let me know if you would change anything. Tried adding ghost wolf as a mount and it bugs out? Hopefully here is the solution: This plugin hooks itself onto the MoveToPulse, pauses the bot and enters ghost wolf and continues when travelling as a Shaman. It will not attempt to do this if you have a mount name filled in or are indoors. It should leave ghost wolf when entering combat. I heavily recommend using the addon EzDismount, it tries to cancel ghost wolf when you interact with things. You no longer need an addon, I have built leaving ghost wolf into the plugin. Not tested too thoroughly, let me know if anything doesn't work too well. Four quest files to automate the shaman totem quests. Just a re-furb of the profiles i made for BC to make them work with vanilla. Water quest may need some babysitting due to the amount of travel, but the profiles should to the heavy lifting for you. Call of earth is only for orc / troll.. who makes a Tauren shaman anyway. Someone could tell me how I could use the shaman buf Flametogue weapon. Nothing special. 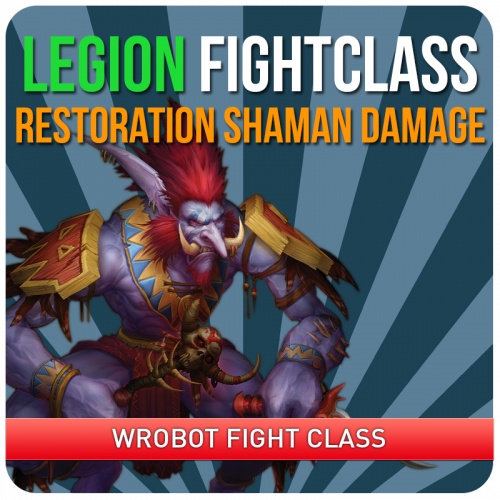 PvE Damage Fight Class for Restoration Shaman. Perfect for grinding profiles without Enhancement or Elemental Artefact weapon. Casting Flame Shock Lightning Bolt Chain Lightning Lava Burst Healing Stream Totem Riptide I attack 5-7 Mobs at once. Using the fight class builder. Added Stormstrike. never fires. log: [Spell] Stormstrike (Id found: 32176, Name found: Stormstrike, NameInGame found: Stormstrike, Know = False, IsSpellUsable = True) It thinks I don't know it? I use this with Wrotation and Grinder, The Rotation should push out good DPS at the same time keeping survivability. I have provided a pic of the talents i use for this but here they are again.. (3213312) Hope the FC helps you all, Feedback Welcome. Survival / DPS should hold till we figure out whats actually going on. 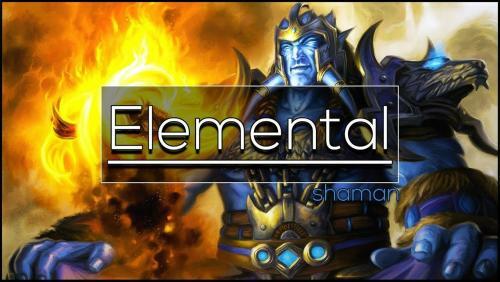 My WOTLK Resto shaman, Uses: - Earthshield - Watershield - Earthliving Weapon, - Call of the Elements - Chainhealing Heals group and buffs properly, Enjoy your healer and tell me when you find some improvements! I have been looking around for a guide or a hint on a way for my priest to dispel any magic off of people in a party, but i cant seem to find anything. i understand how to dispel 1 debuff specifically, but it would be way easier to just be able to dispel any magic debuff without having to make a gazillion conditions. I imagine there is a lua solution but not sure where to find that at. also would like to be able to know how to spellsteal as a mage or purge as a shaman too. 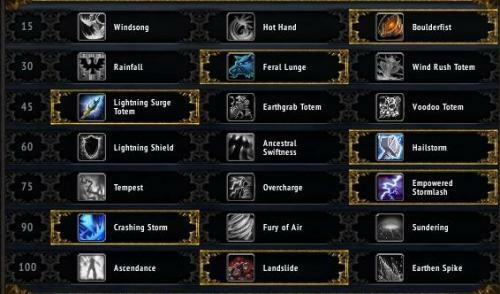 any help or a point in the right direction would be great..
Hello all, my first class Maintain these buffs at all times.Lightning Shield DPS Priority: Execute this priority for optimal DPS. 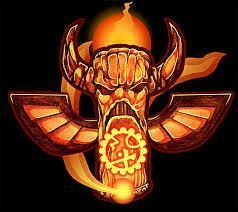 Searing Totem is maintained at all times. Lightning Bolt with 5 Maelstrom Weapon. Stormstrike / Windstrike on cooldown. Lava Lash on cooldown. Flame Shock refresh DoT when Unleash Flame is up. Unleash Elements on cooldown. Frost Shock on cooldown. Lightning Bolt as a filler spell with 1+ Maelstrom Weapon.